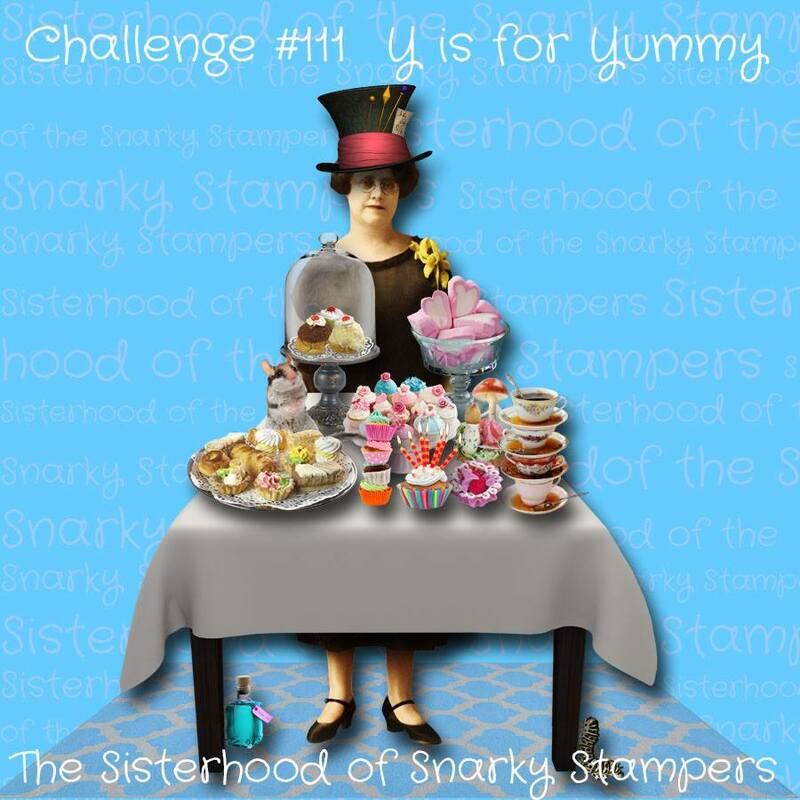 Thanks for visiting Edna and the sisterhood of snarky stampers! Edna has donned her best mad hatter attire and has invited us all to a tea party...but there's a catch...you have to bring something yummy to the party!! To be fair, only part of my card is yummy...the other part not so much. 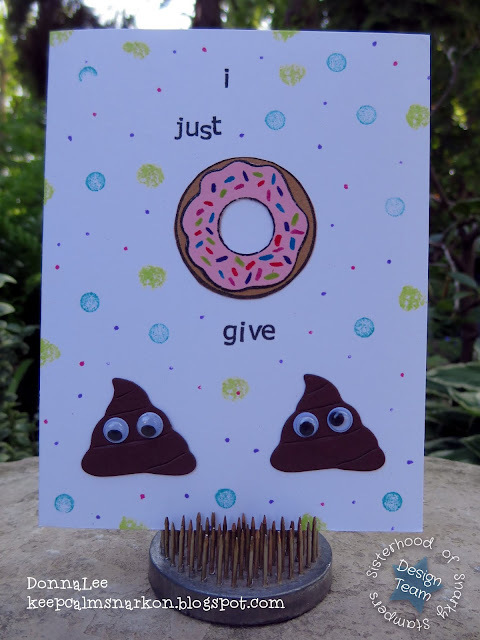 I am a fan of donuts...and snarky sentiments of course!! Also, don't forget to follow the sisterhood on Instagram! Be sure to use the hashtags #sisterhoodofsnarkystampers and #soss on your projects!